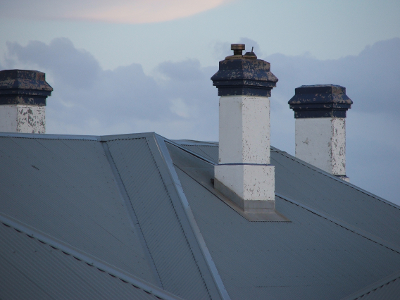 Chimney sweeps are responsible for cleaning and maintaining chimneys. Everyone who has a fireplace at home needs to get their chimney cleaned on a regular basis due to fire safety regulations. Most chimney sweeps are self-employed and self-taught. They learn through practising the cleaning process with their friends or their own chimneys. However, some chimney sweeps have certificates. In the USA the certificate can be obtained from the Chimney Safety Institute of America and National Chimney Sweeps Guild. The salary differs significantly on the location, experience, self-set-fees and complexity of the job. The chimney sweep’s salary highly depends on how fast a chimney can be cleaned. Usually it takes 2-4 hours to complete the job with an average price of $150 per home. The job involves quite a few risk such as working at high elevations of surfaces that might be slippery. Chimney sweeps are exposed to dangerous chemical compounds and therefore lung problems may appear. However, if you wear the right uniform (gloves, mask, shoes, protective clothing) you should minimize those risks. To start you’ll need to buy (or rent) a van, ladders, ventilator, a few chimney brushes and rods, and a wet/dry vacuum cleaner. The chimney sweep business is largely seasonal. You should consider offering extra services such as selling, installing and repairing fireplaces or gutter and roof cleaning services. Besides doing chimney sweeping tasks a chimney sweep needs to write and send quotes and invoices as well as track expenses. All of this and a lot more can be done with Invoiceberry. Also, you’ll need to advertise your business by creating a logo and putting it on your business van, uniform, business cards, newspaper ads and so on. If you give 100% dedication to every chimney sweeping you do, then you’ll see your customers coming back every time they need your services. They’ll also recommend your business services to their friends and family. That way you’ll grow your clientele and you’ll have an opportunity of expanding your business.